Simply because we have a fantastic reputation for Bedroom and Kitchen Design in Wakefield and Bedroom Design in Leeds. 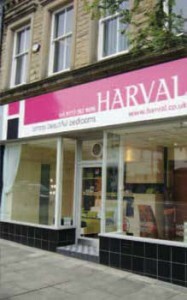 Harval fitted furniture is a family business with over 40 years experience, providing beautiful made to measure fitted furniture to the Wakefield and Leeds area. We offer custom built layouts for beautiful clutter-free fitted bedrooms, practical and personal fitted home office furniture, stylish ideas for fitted kitchens, folding wall beds and unique storage solutions. We also excel in making the best use of small spaces. Our fantastic design skills and experience make us able to combine your spare room and study, keeping it comfortable to sleep in, but practical enough to work in. Bespoke furniture - carefully made and honestly priced. Our years of experience and contemporary approach to fitted furniture design offer you unrivalled service, quality and ultimately desirable fitted furniture that will last. Why not visit one of our two showrooms where you will see that we offer an exceptional choice. Bedroom Design Leeds - There are lots of different styles of wardrobes in our Rawdon Showroom, choose from contemporary or traditional Bedroom and Kitchen Design Wakefield - There are lots of different bedroom and kitchen styles in our Wakefield (Horbury) Showroom, plus examples of using small spaces well.